A London court has issued an arrest warrant against fugitive diamantaire Nirav Modi, the main accused in the $2 billion PNB scam case, in response to a request by the Enforcement Directorate for his extradition in a money laundering case. London: A London court has issued an arrest warrant against fugitive diamantaire Nirav Modi, the main accused in the $2 billion PNB scam case, in response to a request by the Enforcement Directorate for his extradition in a money laundering case, officials said on Monday. The case will then follow a similar pattern through the UK courts as that of liquor baron Vijay Mallya, who remains on bail since his arrest on an extradition warrant in April 2017 on Rs 9,000 fraud and money laundering charges. The 63-year-old businessman has since filed an application seeking leave to appeal against his extradition ordered by UK home secretary Sajid Javid last month. Mallya's case is in final stages in that country. The revelation of Modi's whereabouts in London comes a day after his 30,000 sq ft seaside mansion at Kihim beach in Maharashtra was demolished by authorities using explosives. Modi, a diamond jeweller whose designs have been worn by Hollywood stars, is now believed to be running a new business, which describes itself on the UK's Companies House register as a wholesale trader in watches and jewellery and a retailer of watches and jewellery in specialised stores. 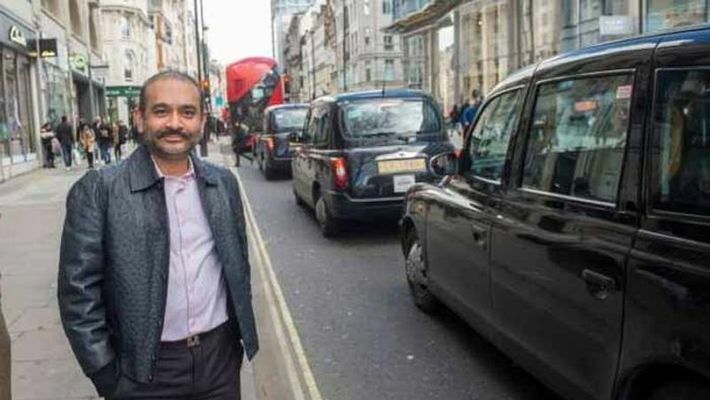 Nirav Modi spotted in London: What are Indian agencies doing?